To boost sales team performance, it is essential for sales leaders to hone in on which skills to develop and ways to incentivize greater productivity. Constant motivation is the key to getting team memberts to maintain the momentum needed to reach and exceed sales targets. Monitoring and evaluating real performance metrics allows leaders to identify gaps and areas of improvement. With clear metrics, sales leaders take an objective approach to act accordingly. But when it comes to driving teams to consistently achieve sales goals, leaders face a bigger challenge. The hovering question is, How can I motivate my sales team? Give your sales reps or associates full ownership of their goals and involve them in how to get there. Mark targets and sit with each team member to discuss what they need and what it will take for them to realistically attain and exceed expectations. Find new, positive and impactful ways to inspire and engage salespeople. Sustainable engagement happens when you as a sales leader grant trust, give your team member the room and freedom to work promoting ownership of their work. Leaders in high-performing teams know how to provide energy and enthusiasm in the team. This inspires and ownership makes them feel responsible. The sense of responsibility makes them feel the importance and the impact on the overall success of the company. In breaking down goals, you and your team members will see the more immediate impact on overall company's performance allowing salespeople to take necessary actions. Provide incentives that inspire and drive the behavior toward high performing teams. Come up with a list of options that speak to them. Gather information by asking what drives them. Come to an agreement to define how they plan to reach their goals, timeframe and reward. Finally, keep track and remind them what they need to achieve the reward in 1 on 1 meetings or on a publicly displayed dashboard. Listening to your team members is important and exciting for them to boost performance. Traditional incentive plans only take into consideration the best sales reps, those who sell more, get more clients or achieve more goals. It means that the other sales reps won't get any reward. That demotivates them so look for a way to reward those who, despite of not being on the top, make the effort to learn, make a positive impact in the company and perform better every day. Simplicity: the less confusing and complicated the better, make it transparent and easy to understand. Causality: be sure that you relate compensation to what you try to accomplish. Fair: any compensation must be fair and equal for everyone. Easy: painlessly measurable and effortlessly manageable. Also, keep them near the team so they can keep learning and improve their performance. Implementing a mentor program, ideally digital, will help reinforce knowledge gaps, as will packaging the training content into small chunks of information rather than one big block. Doing that will help you decrease the possibility of missing sales opportunities because of the lack of knowledge. One of the secrets for building a great team lies in its blend of strengths and skills. It's the sales manager's responsibility to identify and build a balanced team around it. Leverage the diversity of your team members. Identify which skills or characteristics each member espouses: critical thinking, strategic mindset, creativity, organization, relationship skills or detail-orientation. Effective leaders will identify these strengths to empower employees to improve them and ensure team members respect one another. 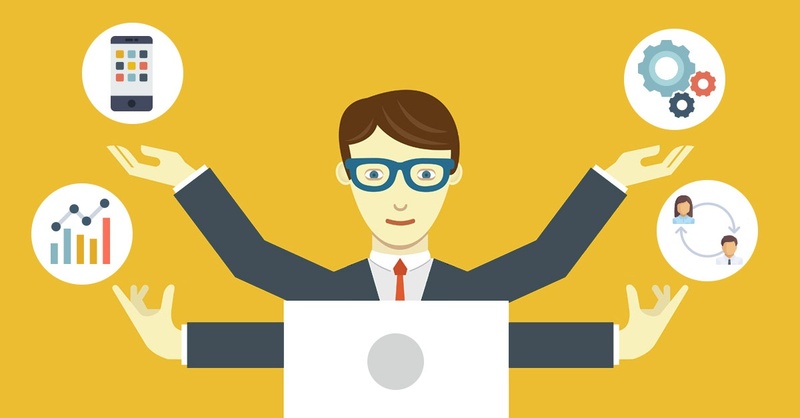 Leveraging technology is a great way for a sales manager to engage and motivate employees. Through a lively competitive game you keep people engaged with each other. 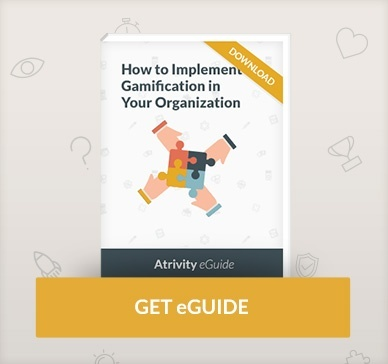 Using a gamification app increases the mobility of your corporate training and their flexibility to learn and play when they are away from you. Also, bite-sized learning helps salespeople to maximize knowledge retention. Additionaly, on average, employees show an increase of knowledge between 26-59% with participation rates averaging 90%. Making their job more enjoyable for them will help you increase their engagement and performance. Conflicts are disruptive to teams. Leaders need to work to come up with solutions and promote collaboration. Often team leaders assume that having a team of veteran members means that conflicts will be resolved on their own, but it doesn't happen in all cases. Instead, to maintain a dynamic of high-performing teams, differences must be addressed straight away. Define teamwork goals and make sure they understand the purpose and the overall mission that must be achieved. Keep an open, honest and respectful communication flow. Acknowledge their exemplary work and efforts to resolve teamwork conflicts. Get your employees to feel a strong sense of belonging to the team. When talking about incentives we usually think about money but there's more than meets the eye. It also includes motivating or encouraging the employees. Positive recognition is more valued than bonuses so it's the best incentive that's both sustainable and efficient for a large business. Additionally, incentives need to be transparent and directly related to a measurable action or achievement so they don't turn into entitlements. If you ask your team, chances are that they will tell you they want to be appreciated and rewarded for every achievement at work. Also, there may be some people that earn more than they deserve and that brings us again to entitlement. Having a sense of entitlement is harmful for your team and their own careers, it inhibits their personal growth. While some employees are learning everything to get into a leadership position, the entitled ones enjoy their privileges whenever they can and they get grumpy when those are inaccessible. That's because they see the perks and bonuses as rights not rewards. Determine an employee review process based on metrics. Combine individual achievements with team achievements. Make sure that employees below the required performance don't receive the perks. Teach team members how the incentive plan works so they have a very clear idea about it without doubts. Implementing these 8 steps will help you motivate and boost your sales team performance for sure. Let us know about your results!